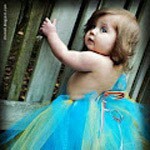 Healthy hair is quite difficult to achieve and manage as our hair is exposed to chemicals and pollution. It’s not just what you apply on your hair, but also what you eat that counts. Nutrition plays a key role in hair growth and good nutrition radiates on our hair and skin. The nutrients which we eat help to fortify the hair follicles and the scalp. To care for your hair inside out, eat a healthy and balanced diet that is known to improve hair health. Eating the right foods for healthy hair is the way to go! You can do a lot of things to get back your natural beauty, but the easiest way to do this is start by eating healthy food for hair. 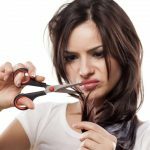 You need to understand your hair first before preparing a diet chart for your hair. a. Foods for hair loss. b. Foods for hair growth. c. Foods for shiny hair. d. Foods for split ends and dandruff. Hair loss is a complex condition and nutrients we take influence the condition of hair and hair loss. 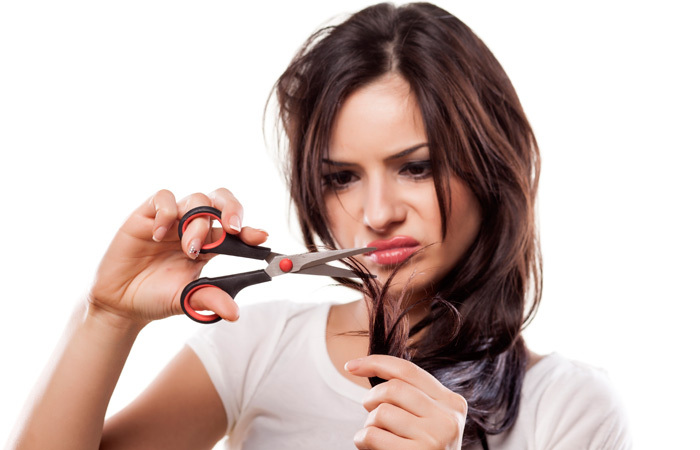 When hair starts falling or thinning, it causes panic, distress and anxiety in all of us! Many cures are available but do no good because they do not address the root cause. 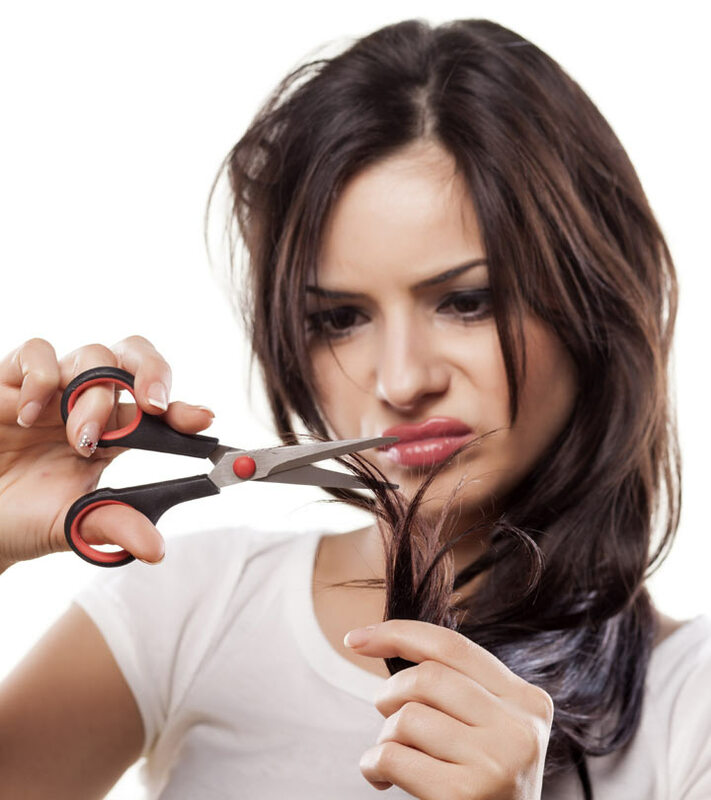 Dietary deficiency, toxic hair products, and poor hair care are often the cause of hair loss. Hair is approximately made up of 97% of protein. So the lack of proteins in your diet may cause hair fall. To avoid this, you should incorporate proteins in your diet. Here’s a list of healthy foods for hair that can help to fight against hair loss and promote healthy hair growth. Lean red meat is one of the most beneficial foods for preventing hair loss. It is a great source of iron which gets easily absorbed and keeps the hair follicles in good health. Iron allows the other nutrients to get more easily absorbed by the hair follicles. It contains sulfur, which promotes new hair growth by increasing blood circulation and decreasing inflammation, thus preventing hair loss. The liver also contains a high amount of vitamin A and vitamin B3 which enhances circulation in the scalp. Hair is mainly made up of keratin and protein, so a diet rich in protein is the fastest ticket to encourage hair growth and prevent hair loss. Eggs contain plenty of Vitamin B 12 and proteins that penetrate deep into the root and hair follicles to repair and nourish the hair. Not just protein, eggs are also loaded with four important minerals – zinc, selenium, sulfur, and iron. Iron is especially important because it helps to carry oxygen to the hair follicles and iron deficiency is a major cause of hair loss. Eggs are also a great source of biotin and sulfur which helps to produce keratin and prevent hair loss. Eggs also help to maintain a healthy nervous system. Oysters are rich in zinc, a lack of which can lead to hair loss and can also cause dry and flaky scalp. Our hair is 97% of protein and oysters are rich in proteins. This fish is a good source of omega 3 fatty acids and vitamin D. These Nutrients prevent hair loss Salmon is also rich in vitamin B12 and iron. Our body can’t make fatty acids on its own. About 3% of our hair shaft is made up of these fatty acids. Omega 3 is found in cell membranes in the skin of our scalp and in the natural oils that keep our scalp hydrated. This soy-based food is a healthy source of iron, one cup serving offering 6.7 mg.
Iron deficiency often leads to hair loss. So if you are suffering from iron deficiency make sure you are taking in at least 18 mg of iron a day. Bean sprouts contain silica, which is an important nutrient for hair and prevents hair loss. Our body uses silica to absorb vitamins and minerals in the body. Even if you are eating plenty of vitamins but you are not consuming silica it will not help you much. Hair needs nutrients to form new cells. Silica can also be found in the skin of cucumbers, potatoes, and red and green peppers. Folate is not only necessary for pregnant women but is also beneficial for hair. They are also high in proteins which help in hair growth. Coriander works extremely well against hair fall and hair thinning problem. Coriander helps to clean the toxic metals from the body. These toxic metals hinder transporting nutrients to the scalp leading to hair loss and dry hair. This ranks high on the list of ingredients in Indian food for healthy hair and scalp. Dairy products are a great source of calcium, protein and also contain whey proteins and casein. Include cottage cheese in your diet. If you are not fond of the bland taste of cottage cheese or paneer as it is known in India, put chunks of paneer in your gravy. This will improve the taste of cottage cheese. Apart from being a very high protein source, shrimp also contains good portions of vitamin B12, iron, and zinc. And all there of these vitamins are prevent hair breakage. There are several foods that stimulate hair growth by aiding our bodies with vitamins, minerals, and many other nutrients. Improving our diet will boost the health of the hair and stimulate hair growth and the rest of the body will benefit from it as well. A well-balanced diet that includes a plenty of growth-promoting protein and iron can make a huge difference. Asparagus contains a lot of folic acid. This is a kind of synthetic vitamin B, which helps the body to absorb more proteins and makes the hair grow faster. Asparagus is rich in vitamins A and C and folic acid. It also contains fibre and iron. Asparagus stimulates hair production and is also a good source of silicon for healthy hair. Vitamin E is also found is asparagus which improves the overall health of the hair. With one bowl of asparagus daily, you will have thicker and shinier hair. Flax seeds not only contain a high amount of iron, but are also rich in omega-3s which support scalp health and encourage hair growth. One tablespoon of whole flax seeds contains 2.3 mg of omega 3s while 1 tablespoon of flaxseed oil offers 7.2 grams. Poultry, especially chicken, has a high content of protein as well as zinc, iron, and Vitamin B which keeps the hair strands thick and strong. Hair is nearly all protein thus foods rich in protein give you building blocks for hair. Oats are extremely beneficial to maintain the natural color of the hair. Oats aid in creating melanin and can also prevent hair loss. Oats contain minerals such as potassium, phosphorus, magnesium, and iron which boost hair growth. Dry fruits and nuts are a healthy alternative to the sweets available in the market. They don’t just satisfy the sweet tooth but are also packed with iron, sulfur and biotin which promote hair growth. They are also abundant in vitamin E and inositol which enhances the blood circulation on the scalp and inositol maintains healthy hair follicles. Nuts like almonds and walnuts have protein, iron, and vitamin E all of which are vital for hair growth as they strengthen hair from roots and prevents hair fall. Dates and figs are rich in iron content that helps a lot in hair growth when we eat it regularly. Almonds are rich in nutrients that can make hair strong and shiny. These healthy super foods do more than promoting good hair. Green leafy vegetables are a great source of vitamin A and C and also have heavy doses of iron and selenium. These vitamins assist in the production of sebum, which conditions the hair and promotes hair growth. Eat spinach raw if possible. The iron, beta carotene, folate and Vitamin C in spinach helps keep hair follicles healthy and scalp oils circulating. Low-fat dairy products are abundant in essential proteins and calcium. They are an important building block for hair growth. Milk is the major source for calcium and iron, and there an ideal hair growth food. The abundance of these nutrients not only reflects on bones and health but also on our hair. It aids in controlling hair loss and promoting hair growth. A full glass of cow’ milk needs to be a part of your diet if healthy and shining hair is your aim! Sprouts are wonderful for Hair Growth. The most important and famous sprout is Green gram dal Sprout. There are so many sprouts like Mung Beans, Green gram dal, Peas that help in Hair Growth and stops hair fall. It is also very easy to prepare! Soak Green gram dal in the morning in an airtight box. Then in the afternoon strain the water and close the box, put the box in a dark place. In the morning, the sprouts will be ready for you to Eat. It will be very effective when taken with the morning meal. This is a great Food for putting an end to hair fall immediately and inducing hair growth. Also eating this sprout regularly will make hair shiny and smooth. It is protein rich and contains so many nutrients. Proteins rich for hair growth is a must! If you are a vegetarian and are on a hunt for that perfect source of proteins, then your search ends here. This is the best food for hair growth. Soya beans have 40% proteins and a great deal of good fats which are also much needed for hair growth. Forget about all those chemical-laden conditioners and serums which provide temporary shine but harm in the long run. The secret to healthy and shiny is in what you eat. 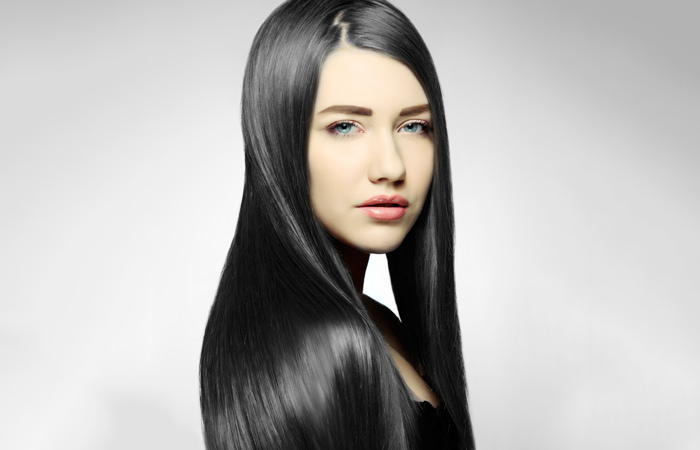 Foods rich in amino acids and omega 3 fatty acids will give your hair shine. Vitamin C and E are antioxidants which not only help to keep the skin vibrant but also add shine and bounce to the hair. Citrus fruits like oranges which are full of Vitamin C work great for the hair. Vitamin C is used in the formation of collagen. Vitamin C has been used for centuries by men and women and the result has been shiny, radiant, bouncy and naturally moisturized hair. Legumes are rich in flavor and are definitely good food for hair. 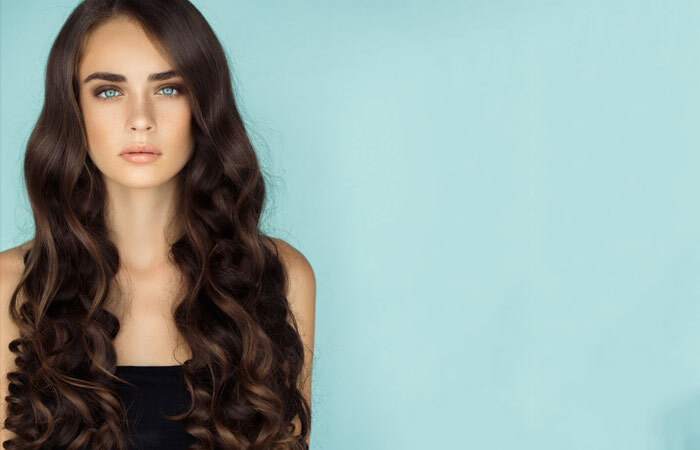 Foods like peanuts, kidney beans, chickpeas, and other similar pulses are full of natural oils that moisturize the hair and scalp imparting shine to the hair. Legumes like kidney beans have been acclaimed for their healthy hair promoting abilities. Not only are they great nonmeat source of iron but are also rich in protein. Severe protein deficiency can lead to unhealthy hair, hair loss and hair thinning. Lentils: Lentils are abundant in protein, iron, zinc, and biotin. Broccoli contains more vitamin C than oranges and even contains Vitamin A, which our body needs to produce sebum. It naturally conditions the hair and adds shine and luster to the hair. It aids in blood circulation to the scalp which keeps our scalp healthy. Ripe mangoes hold large amounts of beta carotene and are even rich in Vitamin E, which improves circulation to the scalp by enhancing oxygen uptake. Tomatoes are rich in lycopene. Lycopene is an essential antioxidant which helps maintain the collagen on the body. This, in turn, is good for nourishing the hair and promotes shiny and healthy hair. Avocados are rich in vitamin B and E which makes the scalp healthy and stimulates the hair to grow faster. Avocados are also high in monounsaturated fats that help to moisturize the scalp and hair follicles and keeps the hair naturally conditioned and shiny. You don’t call it food for hair for no reason! Foods for healthy hair which is dandruff free are those that are rich in oil and protein provide natural protection against dandruff and split ends. Protein is essential for hair health and oil makes our hair less dry and hydrates the hair. Our body secretes oil to keep our hair smooth and soft. 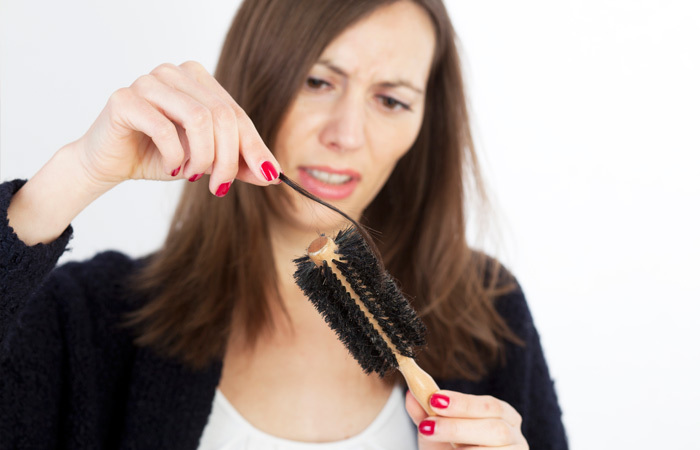 Dry hair often leads to itchy scalp and dandruff. Professional nutritionists are of the view that diet can have an effect on dandruff as the body is largely responsive to essential ingredients that determine how we function day to day. Fish oil has an effect on the texture and overall makeup of the skin. It prevents the scalp from drying out and thus, helps to limit and prevent dandruff. Fish oil now comes in easy supplements that you can take daily. Blueberries contain antioxidants, so they assist in defeating free radicals that lead to split ends and hair discolouration. You should include blueberries in your diet to get the hair that you have always dreamt of. Sweet potatoes are rich in antioxidant beta-carotene, which our body transforms into Vitamin A. It helps to protect and produce oil on the scalp. Vitamin A deficiency can leave our scalp itchy and lead to dandruff. Walnuts are the only nuts which contain a significant amount of omega-3 fatty acids. They are also rich in biotin and Vitamin E, which protects our cells from DNA damage. It provides an effective shield against harsh sun rays. Too little biotin can lead to hair loss. Walnuts also have copper minerals which help to maintain the natural color of the hair. You can add a cup of hemp powder to your milkshake to provide essential fatty acids for the hair. This powder contains omega-3 and omega-5 fatty acids. The inclusion of fatty acids in diet will keep the scalp hydrated and prevent split ends and will give you a luscious mane. This list cannot be completed without water. Water will hydrate the scalp and ensure good circulation of blood thus helping the vital nutrients find their way to your hair. It is as easy as building a diet which is rich in the foods mentioned above to get healthy and lustrous hair. 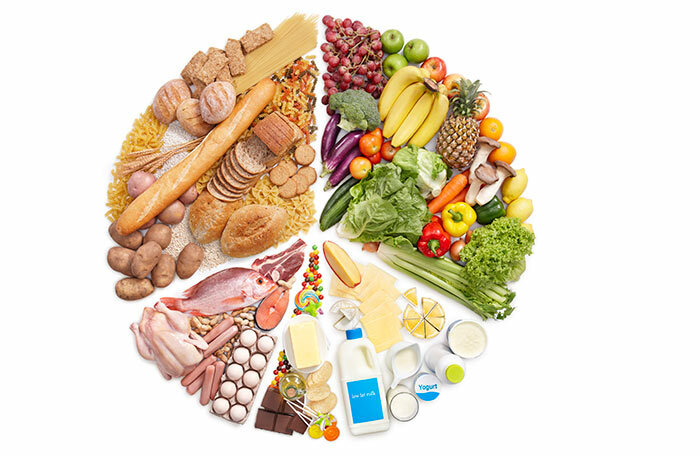 Opt for at least 3-4 servings of vegetables and always consult your doctor before embarking on a new diet regimen. There are also a few simple things that you do on the external end to aid the improvement of the internal process of rejuvenation. Use natural hair care products for proper hair care. You can try any of the following tips. Apply honey to your scalp to deal with frizzy and tangled hair troubles. Mix apple cider vinegar to water. This will give you volume and shine at the same times. Use a rinse of lemon water for dry hair. Hope you like this article! Don’t forget to share your experience with us in the comment section.